B.C. 's missing women's inquiry hearings saw a pointed argument between the lawyer for families of Robert Pickton's murder victims, and beleaguered commissioner Wally Oppal – leaving several of the families enraged and the inquiry increasingly in question. 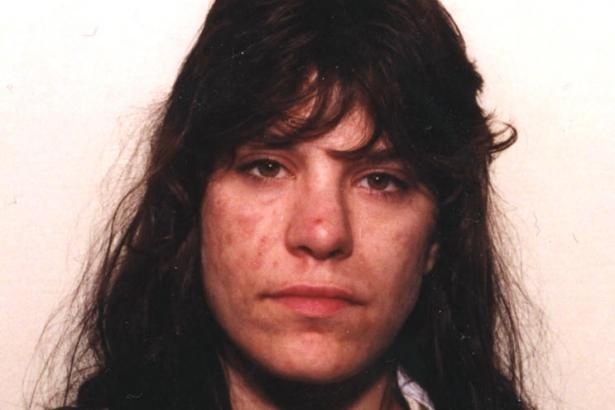 Photo of Cara Ellis, whose remains were found on Robert Pickton's farm. Image sourced from Missing Persons website. B.C. 's missing women's inquiry hearings saw long-time tensions boil over yesterday in a pointed argument between the lawyer for families of Robert Pickton's murder victims, and beleaguered commissioner Wally Oppal – leaving several of the families enraged and the inquiry increasingly in question. Oppal's reluctance to allow new witnesses to be called – amidst concern for the inquiry's length, as it has already been extended to April 30 – was met by Cameron Ward, the lawyer for 25 families. He criticized the entire process, a frustration shared by several victims' families with whom the Vancouver Observer spoke. “Frankly, I'm getting really sick of getting re-victimized by this system,” said Lori-Ann Ellis, whose 26-year old sister-in-law, Cara, was murdered by Pickton, although charges stemming from her death were among the 20 stayed by the Crown. Another family member expressed deep dissatisfaction with Oppal, whose appointment was widely criticized by victims' families. From day one of the inquiry, some families and friends have held drum circles blocking the Georgia and Granville intersection, laying down quilts in memory of the missing women. But concerns are now spilling over into the courtroom. The Missing Women's Commission of Inquiry, which is in its final week of meetings until January, was established to investigate why police took years to investigate serial killer Robert William Pickton, who admitted to murdering up to 49 Downtown Eastside women – but was only charged with the second-degree murders of six. When the Vancouver Observer asked Ellis what motivates her, she said she is motivated by a commitment she made to seek justice for her sister-in-law. Cara Ellis, 26 when she died, was close to her two brothers and her half-brother, even after years of absence. She had run away at age 13, Ellis said, but when she returned “she hugged them with all of herself, it was like the gap never existed. “Every day I wake up and think, 'What do I need to do today to bring her justice and help her rest in peace? '” Ellis said, recalling how she returned to her Calgary home after the Pickton case with only a small bone fragment to remember Cara by. What was supposed to be a procedural day escalated into a heated exchange, after Oppal challenged Ward's request for three new witnesses to testify – all of whom had direct connection to the police's botched Pickton investigation – because of concern the trial would go on too long and the witnesses would only repeat existing police information. In response, Ward said if police's account of themselves were accepted wholesale, there would be no point in the inquiry at all -- and alleged that victims' families were increasingly frustrated, a fact Oppal denied outright. “I'm going to tell you right now, Mr. Commissioner: my clients, the families of 25 missing and murdered women, have been watching this proceeding – are following it – and they are extremely unhappy with the way it is being conducted,” Ward told Oppal. “They and their advocate are getting the same treatment today in this inquiry room as they got when they took their concerns (about Robert Pickton) to the authorities back in the years before 2002. Cutting Ward off, commissioner Oppal countered the lawyer's claims of falling support from the families of Pickton victims and rebuked him. “Let me interrupt you there, Mr. Ward,” Oppal warned. “First of all, your clients have been treated with respect. A "cruel, mean, vindictive bully"
Another murdered woman's family reacted with fury to Oppal's claim that they had been treated fairly, and accused the commissioner of lying in asserting that the families had not been cross-examined. “The way they treated me on the stand was totally ludicrous,” said Lynn Frey, whose 25-year-old daughter Marnie, was one of the six murders Pickton was charged with. Marnie had a daughter, Brittney, who is now 19. “When I was on the stand, I was the first family member up there – they weren't supposed to cross-exam us but they did – they made me feel I was a victim all over again. Ellis agreed, and accused Oppal and the inquiry of bullying the families -- a particular betrayal since he had assured concerned families early in the inqury it would be a fair and impartial hearing. “For him to say that is just a bald-faced lie, or he's just inattentive to what's happening in the room,” she said. “It was untrue – I was cross-examined by Vancouver Police Department lawyers, who tried to put words in my mouth I didn't say. “When this inquiry is over, in the mind of the families, (Oppal) will be known as a cruel, mean, vindictive bully.